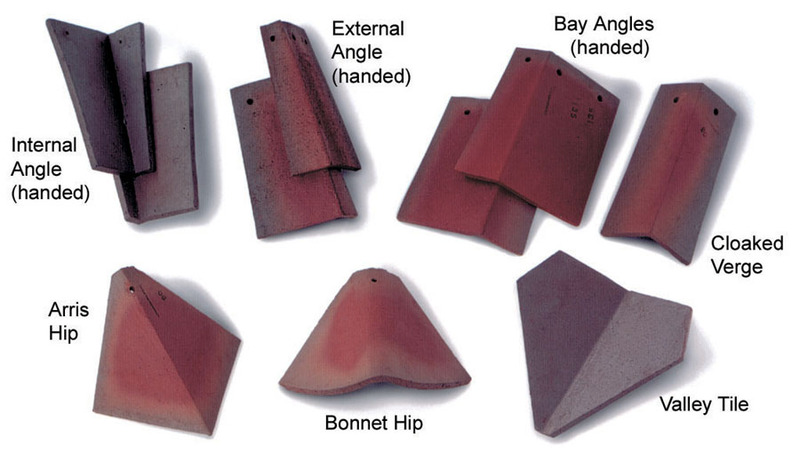 Dreadnought manufacture a wide range of clay roof tile fittings to complement all the Dreadnought tile colours and tile ranges. Dreadnought Fittings are hand made. If you have special designs or would like an existing feature to be matched, contact our sales office who will be delighted to discuss your requirements. 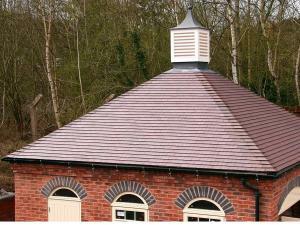 These provide a rounded softer profile to a roof. They do not fit close to the hip tile beneath them and mortar bedding must be used to fill the spaces between one hip tile and the one beneath. This bedding gives a pleasing effect if it is struck back about 15mm from the edge of the hip tile and the edge wiped clean. The use of Arris Hips gives a sharp definition to the profile of the roof. Standard hips are available for roof pitches of 35°, 40°, 45° and 50°. Hips for other pitches can be made as specials. Valley tiles are made to course with plain tiles in standard pitches for 35°, 40°, 45° and 50° roofs and can be made as specials for other pitches. 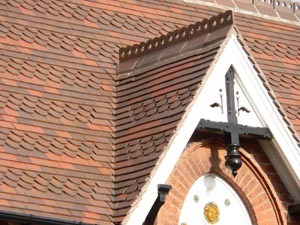 They are held in place by the two adjacent plain tiles both of which are twice nailed. This provides a sound and visually attractive form of valley covering.